Beverly Ann Hagan, 74 died at 10:56 a.m. July 22, 2018 at St. Vincent Medical Center. She was born April 27, 1944 in Toledo to James L and Isabelle (Chinni) Mowrey. Mrs. Hagan was known as the "Spit Fire" on the CB Radio. She was a very good hearted woman she cared about everyone. She had lots of love for children, having come from a big family. Left behind to cherish her memory are three daughters Dawn (Ronald) M. Fry, Laurie (Kevin) A. Mowrey and Mary (Melvin) K. Siders all of Toledo; two brothers Jimmy (Nikki) L. Mowrey and John (Mary) M. Mowrey. Also surviving are 22 grandchildren and 13 great grandchildren. She is welcomed into heaven by her parents, James L and Isabelle (Chinni) Mowrey, and Donald Hamp III. The family will welcome guests at the Bersticker-Scott Funeral Home, 3453 Heatherdowns at Byrne Rd on Thursday, July 26, 2018 from 4 - 5 pm followed by a brief service by Deacon Joe Kest from St. Patrick's of Heatherdowns. 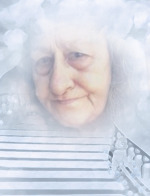 Please view and sign Beverly's condolence page at www.berstickerscottfuneralhome.com. To send flowers to the family of Beverly A. Hagan (Mowrey), please visit our Heartfelt Sympathies Store.